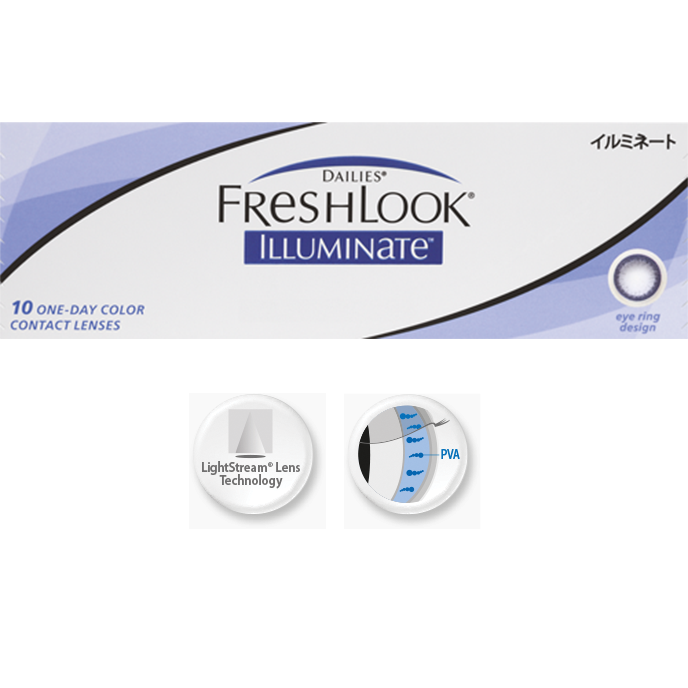 Dailies Illuminate contact lenses give greater depth and definition using dual-layer printing technology. 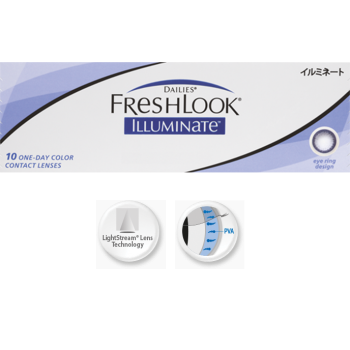 The surrounding outer ring of the contact lens darkens and enlarges the appearance of the eye. This gives you natural looking bigger and brighter eyes.